Setting an automatic 0 will insert a 0 in every cell when the due date has passed. 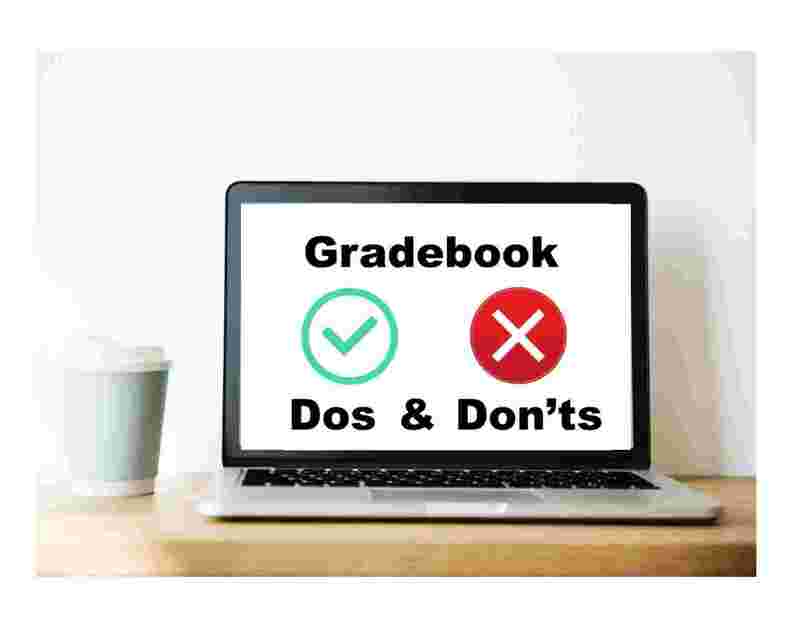 This not only saves you time from having to manually enter a 0, but also ensures the final grade is being calculated correctly. Leaving the cell blank or not entering a number means Canvas is not calculating correctly. To enable the automatic 0, you will need to go to grades > click the wheel icon in the right-hand corner > check “Automatically apply grade for missing submissions” > 0% > update. This will trigger the automatic 0 each time a student does not submit their work by the due date. 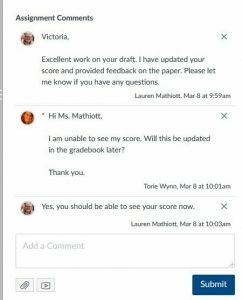 Using the message students who feature in the grade center allows you to connect with your students by sending them a kudos for doing well on an assignment, or maybe sending them a reminder that they haven’t submitted an assignment yet. Using assignment comments allows you to give overall feedback to your students. This feature also allows students to reply to your comments. In order to be notified when a student leaves a submission comment, you would need to update your notification settings receive submission comments. The color of the cell depends on the status of the assignment. 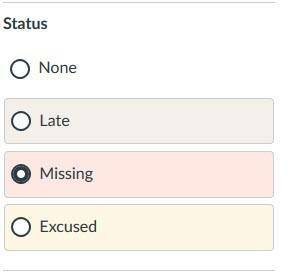 If an assignment was submitted late, it may turn that cell red so you know it was late. However, you can change this by changing the status of the assignment. If you want the cell to be white, you can change the status to “none” to reset the color. When you leave a cell blank, the points possible is not being calculated toward the final grade. This means that it inflates the total score. If you go in at the end of the semester and add 0’s during finals week, it will drop the overall total score in the grade center. Muted columns can be great if you are not finished grading an assignment. The muted column feature hides the column from students until you unmute the column. 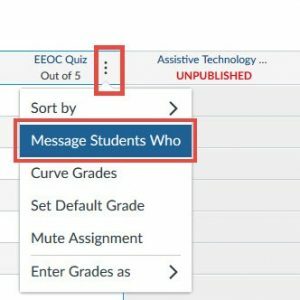 If you keep a column muted, it will show students there is an assignment, but will instead of seeing a grade they see a mute icon.